Scotland’s priority catchments contain some of the country’s most important waters for conservation, drinking water, bathing and fishing, but they are also at heightened risk from diffuse pollution pressures which will lead to poor water quality. As part of Scotland’s targeted approach to reduce pollution risk, work is underway in a number of ‘priority catchments’. Inspection work is starting on the Lothian Priority Catchments. This ‘on-farm’ meeting will consist of short presentations about priority catchment, what this means, what you can expect and opportunities for funding through the forestry grant scheme. These presentations will be followed by a farm walk to discuss watercourse & steading management. A representative from SEPA will describe the inspection process in the catchment areas and answer any of your queries about the process. 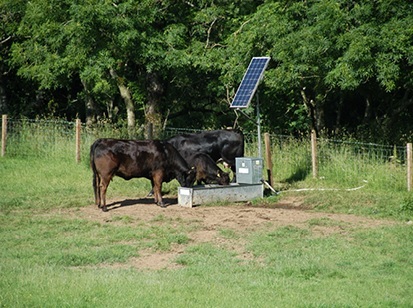 Farming and Water Scotland also be in attendance and will have demonstration equipment to show a range equipment covering alternative watering and fencing options that may suit your farm, if required. For any more information about this event, please call the FAS advice line (0300 323 0161) and ask to speak to Chris McDonald. Please use the booking form below to secure you place and help us arrange catering. As this event is being held on-farm and outdoors, clean footwear and suitable clothing is requested.